A few months ago I spoke on a panel for caregivers in downtown Boston. Invited by a wonderful woman who is involved in community affairs, I had no idea what to expect. Frankly, I didn’t quite know how I got the invitation. I don’t think I had grasped that I had become, in fact, a caregiver. The sponsoring group was looking for “clergy” for the panel, and I was asked to speak on the role of faith in the life of a caregiver. I was thrilled for the opportunity to share with this audience the importance of my faith. I did not know the keynote speaker, however she contacted me a few days before the event in order to go through the details of the morning program. As we tried to find a time to talk that would work for both of us, she mentioned that she could not talk at a particular time because that was during her shift at Walmart. I was confused. She would be speaking to many influential men and women—so I must confess that her occupation surprised me. I felt a bit guilty for that thought, as I know a job does not define a person’s contribution to society—or to other’s lives. She offered no explanation, but sought to find a mutually agreeable time to talk. This woman’s message at the event was quite impressive. Her speech was informative and inspiring. It was evident that the challenges facing caregivers were on her heart as she sought ways to encourage them, advocate for them, and educate them on available services. Her passion was contagious. In a follow up conversation I asked her more about her job, as I was quite curious. I learned that she is an astute businesswoman who owns her own company. However, as a spokesperson for the care-giving community, she felt she was not fully in touch with their needs–though she powerfully spoke about them. Thus, she decided to take a shift at Walmart in order to have conversations with caregivers who come through her checkout line. She can spot them by their purchases—unique to caregivers. Her goal is to chat with them, learn from them, and to offer words of gratitude and encouragement. Wow. I left the conversation challenged and inspired. Years ago I watched a movie I will never forget entitled “The Doctor.” In this movie a seemingly “entitled” doctor becomes the patient—and his life’s perspective is forever changed. Likewise, a book, “Nickle and Dimed,” by Barbara Ehrenreich moved my heart in similar ways. In this book, the author becomes an undercover journalist who chronicles her attempts to support her family on a waitress’ salary in order better understand and communicate the plight of many women. Though I have often tried to listen to and understand people’s life circumstances and difficulties different from my own… I am free to go back to live in my own skin and surroundings. This recent conversation with the Walmart clerk caused me to rethink needed ways to take my empathy and understanding deeper. It’s hard, actually impossible, to comprehend the love that caused Jesus to willingly leave heaven for earth to be the human—to feel what we feel, to be tempted the ways we are tempted, to cry the same tears we cry, to feel pain and sorrow, to feel human love and friendship, and to experience death. Yet it’s real. He did it and left us an example. While the Walmart clerk, the movie, and the book inspire me to be more aware and considerate, only Jesus can truly change and empower me to live a life of “love with skin on it” that begins inside the attitudes of my heart. I am dependent on his grace and mercy, and long to to learn more keenly to reflect his grace and mercy each day. You Mean You Don’t See That Mountain? Do you see a colorful, spiraled mountain in this ocean view? “Uke” (the unicorn) pastures by the ocean. Day after day he sees this multi-colored, spiraling mountain as he looks out toward the sea. Hmmm. I wonder why. Could it be that he can’t see past his own forehead? What do you see? It may or may not look the same as what I see. Our perspective changes everything. We view life through the eyes of our beliefs and experiences (our personal unicorn horns). It’s quite hard, at times, to see another’s view, because it doesn’t match our reality. We see that colorful, spiraled mountain in the middle of the sea and wonder why others are so blind! Can’t they see it?!! Often, even after we have become Christians, we can be tempted to view life, circumstances, and even others through our “default” perspectives—a human and worldly perspective compiled from our past experiences and viewpoints. We can miss the fact that reality might actually be somewhat different. Perhaps you come from a background of broken trust and/or abuse that affects your sight lines. Other views might be observed through the “horns” of poor health, suffering, or financial difficulties. Certainly, our ethnic backgrounds can affect the ways we see and process the views on our horizons. I have learned so much from my youngest son who grew up (until his teen years) in poverty and without parents. His ethnicity has exposed prejudices and profiling–the likes of which I have never had to experience. I have never been stopped by eight patrol cars with rifles raised because I fit the description of a crime someone in a town nearby had committed. (Yes, years ago he experienced a “My Cousin Vinny” situation on the way back from teen camp.) I’ve never been “watched” while shopping. He has. While his responses to numerous situations can frustrate me and cause me to (smh…shake my head), they make sense to him. The most loving thing I can do is to try to understand him, and learn to respect him. I know I still have much to learn. We have grown closer and closer as I have tried to understand his views. I learn so much when I ask him what he sees and understands–and when I try my best to wrap my head around his perspectives. Our pasts, training, and experiences are far apart from each other. I have needed to learn to respect him, and he has had to learn to respect me. And thanks to God, we do love and respect each other. How do you view family members when they don’t think the same ways you think? Your extended families? Your work associates, your neighbors, friends, or even the sharers of highways you travel? What’s your perspective as you face challenges they bring to you, or as they share their own challenges? Are you annoyed and resentful when they don’t think just like you…or do you push prejudices aside and strive to love as Jesus loves. Do you pray and work to see through Jesus’ eyes? I certainly have been (and continue to be) challenged by these questions. Try asking someone unlike you (and who you don’t really understand) to share with you about their life…and really listen. Instead of trying to point them to your way of thinking…look to Jesus and his words. He is the only one that can bring real unity through shared convictions based on his truth, forgiveness, and will-directed, sacrificial love. What an encouraging, challenging, and hopeful scripture! I am a new creation through Christ…with a new way of thinking. I must also ask another question…along with the question of how I view others. How do I view Jesus? From the ways I have “pictured” him, or by who HE says he really is? When our perspective of Jesus stems from what he says about himself, rather than who we think he is or should be..our life and perspective changes. When we view life through “truth” as the Scriptures teach, rather than through our own backgrounds and thoughts, we can become more and more like Jesus. Only then can we see life, our circumstances, and others through the eyes of Jesus. We all have our “unicorn horns,” but Jesus can show us his true and beautiful view. The view from that vantage point is heavenly…in the truest sense. 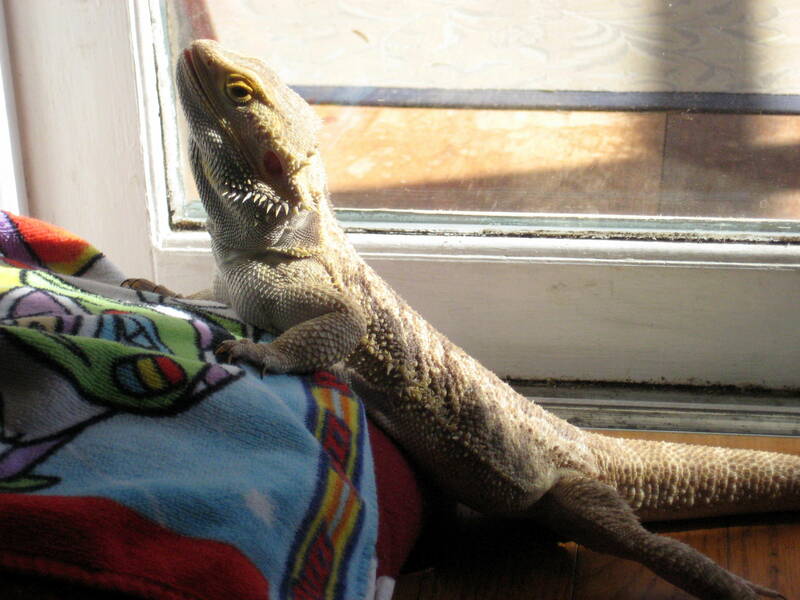 The other day I was visiting a friend in Burlington, Vermont, when I noticed a small dragon in her living room. I inquired as to the friendliness of this creature in the room and whether or not it was supposed to be “out”. I was told it was actually sunning itself, so yes – it was supposed to be there. I guess I was relieved – and tried to find solace in the pure enjoyment this dragon displayed while basking in the sunlight. 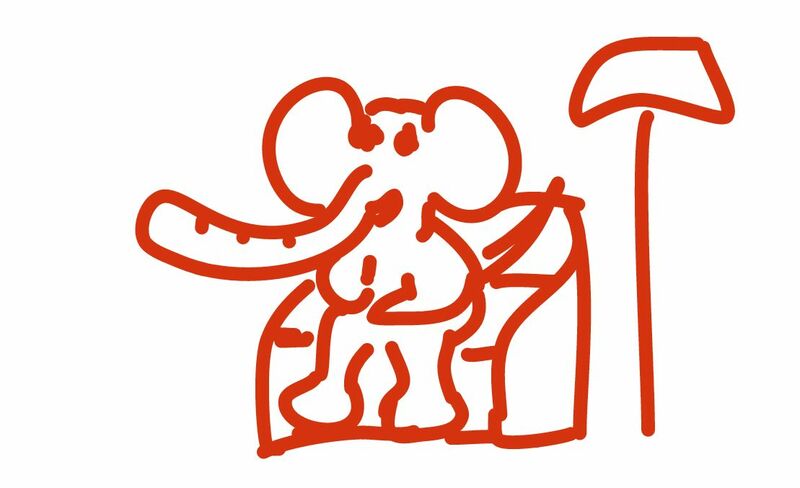 Likely, we have had elephants tiptoe into our living rooms at one time or another. There may even be one currently residing there. Instead, speaking the truth in love, we will in all things grow up into him who is the Head, that is, Christ. From him the whole body, joined and held together by every supporting ligament, grows and builds itself up in love, as each part does its work. They came to him and said, “Teacher, we know you are a man of integrity. You aren’t swayed by men, because you pay no attention to who they are; but you teach the way of God in accordance with the truth. Is it right to pay taxes to Caesar or not? No matter how difficult, I pray to always be honest and to not let creatures take residence in my living room, or any rooms of my heart. If they move in and we ignore them, they will destroy our living rooms and leave a room full of elephant d.u.n.g. In order to avoid the refuse there are several keys to be aware of. They are: Discernment, Understanding, “Niceness” and Graciousness. While speaking honestly, it is important to discern the best ways – including timing to approach a difficult situation. It is also important to understand that there may be pieces missing in our understanding. A tone of gentleness and kindness (or niceness) is also something we are instructed by God to practice. It is also of utmost important to remember that God is a God of grace and mercy. While he is just, he is also merciful – a God of grace and truth. I desperately need his wisdom, power and guidance as I go through life. May we all find the integrity, unity, freedom and love that truth produces. Micah clutched the ticket as if he would never let go. I had placed this precious blue ticket in my youngest grandson’s hand as we rode the train back home. It was our round trip ticket to Boston. I told him he could keep it to remember the day. Micah had just handed it to the conductor, who punched holes in the ticket and gave it back to him. Today my husband and I, along with our youngest daughter and her two children, boarded a train to the city in order to visit the magnificent New England Aquarium. I don’t know which was more exciting – the train ride or the aquarium. Both were awe-inspiring to Micah. Earlier this morning Micah, who just turned two, sat in his crib upon awakening and began talking to himself about his upcoming train ride. “Choo-choo” he shouted out – and continued talking about seeing the conductor and going into the city of Boston. He knew we were either riding to the city of Boston, or to the North Pole. He discussed both. The whole ride was filled with wonder. We heard the whistle, we watched the comings and goings of the people and noticed the scenery go by. We marveled at the conductor walking through the train punching tickets. The conductor, through our grandson’s eyes, had the “coolest job” in the entire world. As I further watched the intricacies of these mysteries of the deep the scripture in Psalm 104:24-31 came to life. How many are your works, O Lord! In wisdom you made them all; the earth is full of your creatures. There is the sea, vast and spacious, teeming with creatures beyond number–living things both large and small. There the ships go to and fro, and the leviathan, which you formed to frolic there. The little blue train ticket had allowed us to travel to the place where we could see such a vast array of God’s handiwork. When we first come in contact with the Bible it can be like the first time we see the ocean and think – wow, this is amazing! Then, we begin to read the scriptures and it is like hearing the waves breaking and feeling the splash of the water on our skin. We then take our study of the Word even deeper and it is like putting our feet in the water, tasting its saltiness and feeling the surge of the tide propelling us. We might then take our study deeper and it is like riding the waves and having them crash over us. We may think we are quite familiar with the ocean (and the scriptures), and still have yet to discover the vast and intricate wonders that live beneath the surface. This is something of what learning the Bible is like. 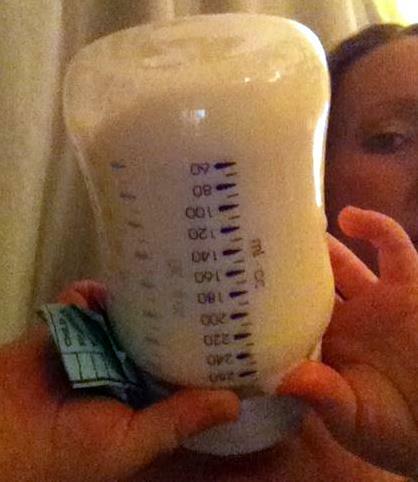 She later sent this picture of him with his bedtime bottle. His blue ticket was still tightly clutched within his little hand. I pray that my eagerness and love for the Word of God, as it leads to many wonders, may always capture my heart in a way much like the blue train ticket (which led to many wonders), captured the heart of my grandson.